Clean rivers, News, What to do with plastic waste? Amsterdam, 10 March – The decision by the Dutch government to postpone the expansion of the deposit system is bad news for the environment. 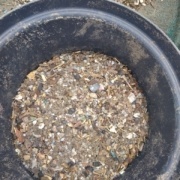 Furthermore the decision ignores calls from over 200 municipalities to expand the deposit system this year. 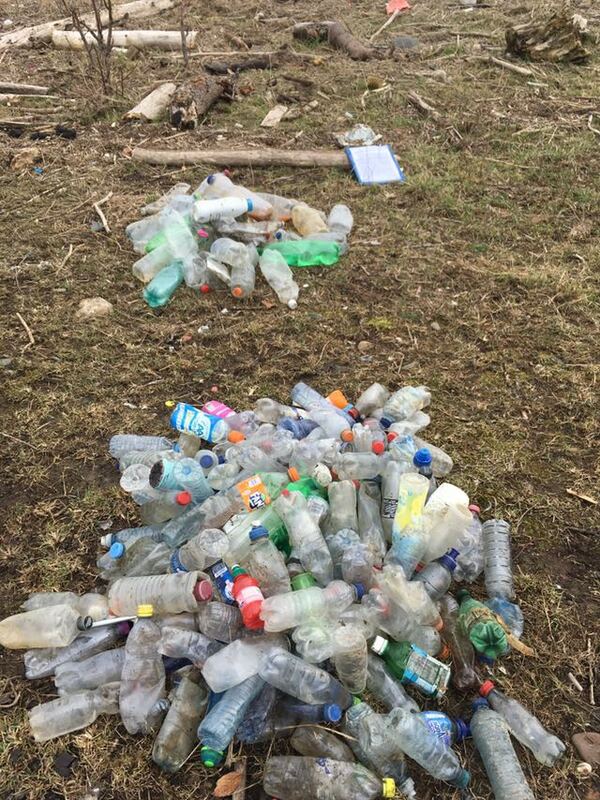 Methods put forward by the sector to reduce litter are not making any difference, if anything they just get in the way of improving the deposit system. This is the response by environmental organizations Recycling Netwerk, Greenpeace Netherlands, Plastic Soup Foundation and Stichting De Noordzee to a letter from Deputy Infrastructure and Water Management Minister Stientje van Veldhoven on litter and the expansion of the deposit system. 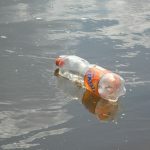 “Postponing this measure for another three years means millions of extra bottles and caps will end up in the environment and contribute to plastic soup worldwide before the deposit system is possibly expanded sometime in the future. We find the government’s decision disappointing,” environmental organizations Recycling Netwerk, Greenpeace Netherlands, Plastic Soup Foundation and Stichting De Noordzee said in a joint statement on Saturday morning (10 March2018). On Friday (9 March 2018), a survey by market researcher GfK revealed a large majority (80%) of Dutch citizens want to see the deposit system expanded to include all bottles and tins. 83% of Christian Democrat voters support an expansion of the system, and so do 79% of conservative liberal VVD voters. 85% of progressive liberal D66 voters, the deputy minister’s own party, want the deposit system to be expanded to include all plastic bottles and tins. Communication campaigns by the packaging sector have been running for years, but have so far failed to clean up our streets and beaches. In 2002, the companies managed to shelf the expansion of the deposit system by promising to reduce the number of bottles and tins in litter by 80% within three years. This goal was never met, but the deposit system was still not expanded. Now 16 years later, history threatens to repeat itself: further delay could spell an end to proposals to expand the system. We know that deposit systems work, as they have been shown to do so in Scandinavia and Germany. Over 200 municipalities have drawn the same conclusion and have joined the Statiegeldalliantie (Deposit System Alliance). The federations of farmers and fishermen are in favor of expanding the deposit system, as are 80% of people in the Netherlands. “It is indefensible that the government is delaying the implementation of a simple environmental measure which has the support of 80% of the population and over 200 municipalities,” say the environmental organizations. The deputy minister’s letter fails to even mention tins. Taking half measures has huge consequences. It means there will be no solution to prevent tins ending up in the environment, nor for dairy and cattle farmers whose livestock are injured by razor sharp pieces of tin in their stomachs. The debate about the expansion of the deposit system to include tins, however, will not go away. Last week, the Dutch Federation of Agriculture and Horticulture (LTO Nederland) joined the Statiegeldalliantie (Deposit System Alliance). 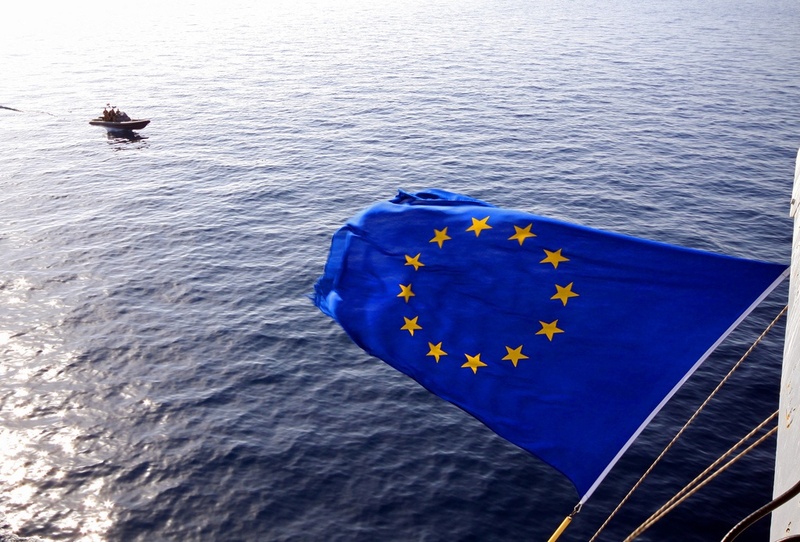 Last week, VisNed also advocated expanding the deposit system for the sake of clean sea water. Meanwhile municipalities are fighting a running battle, as clearing up litter costs them around 250 million euros in tax money every year. An expanded deposit system would reduce the volume of plastic bottles and tins in litter in the environment by 70 to 90 percent. Over 200 Dutch municipalities became partners of the Statiegeldalliantie, asking for the deposit system to be expanded this year. The Rutte government promised to be the greenest government ever, but it seems that it is going to break its promise with regard to the circular economy and deposit system. The environmental organizations hope that the Lower House will push for the immediate expansion of the deposit system on bottles and tins a debate on 15 March 2018. “It is vital that we and the government take further steps on a pathway that works, that pathway is via the deposit system. 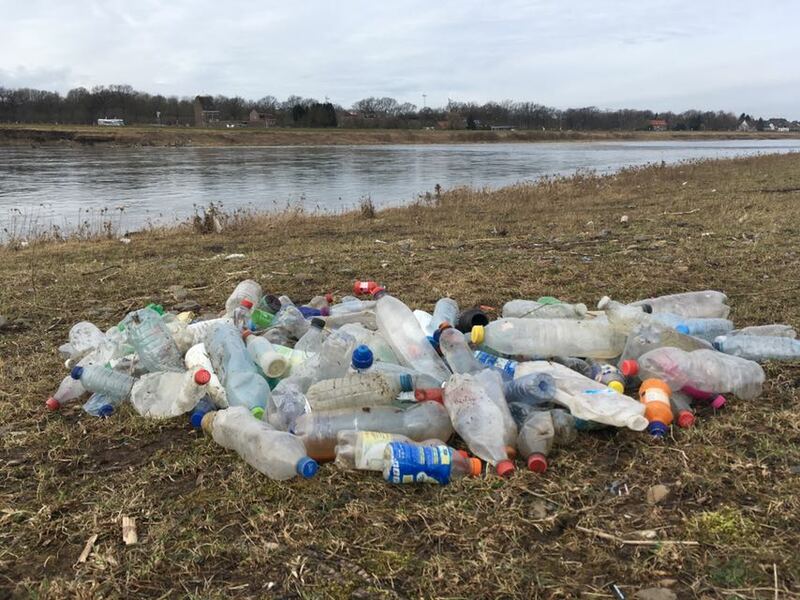 That is why The Hague, the government and the Lower House, must take swift and concrete steps on the pathway to expanding the deposits system to include all bottles and tins,” declare Recycling Netwerk, Greenpeace Netherlands, Plastic Soup Foundation and Stichting De Noordzee. Also read: An underestimated threat: the pollution of land by microplastics. News, Plastic soupermarket, What to do with plastic waste? The façade of the first plastic free supermarket at the Jan Pieter Heijestraat in Amsterdam. 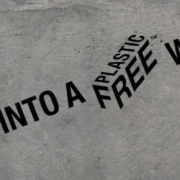 Amsterdam, February 28th – The world’s first Plastic Free Aisle will today be unveiled at an Amsterdam supermarket. The brainchild of international environmental campaign group A Plastic Planet, the aisle will sit within a completely new metro-sized pilot store of the Dutch supermarket chain Ekoplaza. 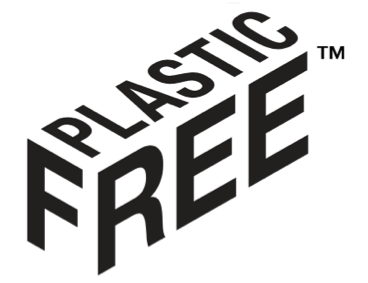 Almost 700 plastic-free products will be included in the pilot including: meat; rice; sauces; dairy; chocolate; cereals; yogurt; fresh fruit and vegetables all conveniently packaged. Interior of the Ekoplaza Lab. It will be a testbed for innovative new compostable bio-materials as well as traditional materials such as glass, metal and cardboard. The launch comes just a month after British Prime Minister Theresa May announced her backing for Plastic Free Aisles in her first major speech on the environment. 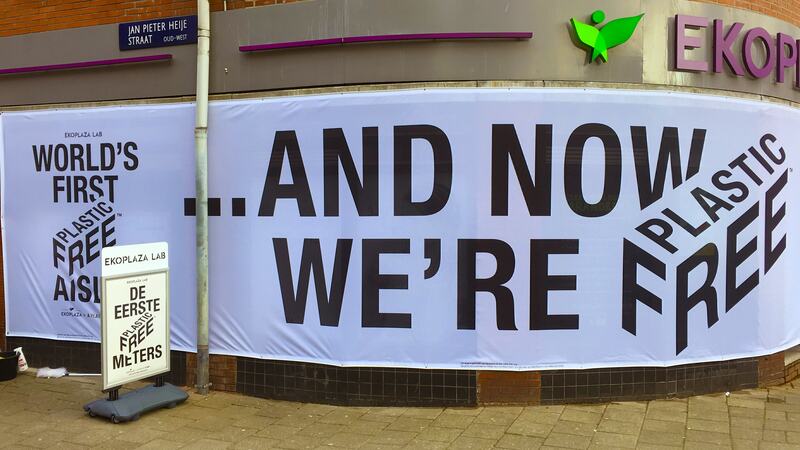 A Populus poll revealed last year that more than nine-in-ten Britons back the introduction of a Plastic Free Aisle in supermarkets, and campaigners hope that UK supermarkets will soon follow Ekoplaza’s lead. 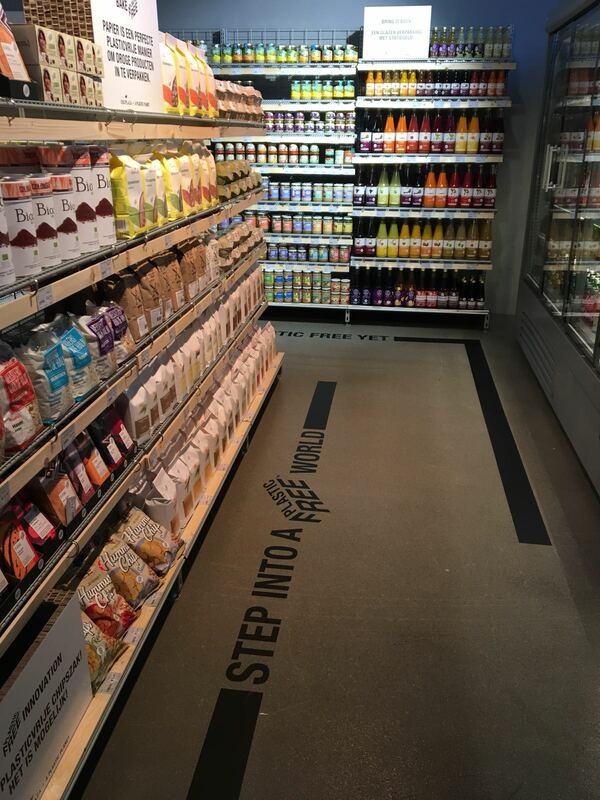 Ekoplaza Lab has the worlds first plastic free aisle. News, Trash hunters, What to do with plastic waste? Amsterdam, January 18, 2018 – The expectation was that the British government’s policy to combat plastic pollution would be a firm one. May’s explanation of this plan, however, was met with skepticism and scorn. See, for instance, this example in The Independent. May announced and defended the strategy, which is meant to be implemented over the coming 25 years. One of the action points aims to encourage supermarkets to include aisles for products that are not packaged in plastic. Other measures include an expansion of the existing tax on plastic bags, and banning plastic cups from government agencies. May has been receiving harsh criticism. The time period during which “avoidable plastic waste” must be eliminated is too long by a quarter of a century. Keep in mind that with the current rate of the production of plastic, plastic pollution will double within a few years. It is entirely unclear to what extent obligations exist under the new plan. A tax on plastic packaging, however, is being examined. Then there is the unfortunate term “avoidable plastic waste”. What is avoidable according to one person is the opposite according to another. Virtually all plastic is avoidable, because not too long ago people lived entirely without it. Plastic producers will publicise the wide range of benefits of plastic to ensure that their plastic is not avoidable. They will point out the role it plays in extending the shelf life of food or how the production of plastic uses less energy than the production of other materials. If the United Kingdom truly wants to be one of the environmentally-conscious countries in the world, as May announced, then it needs to take another approach. Legal reduction measures on plastic need to be implemented, and plastic packaging should be more expensive as a result of more taxation. Furthermore, and supermarkets should not only be required to offer non-packaged products on a number of shelves, but they should aim to expand the number of these shelves each year. 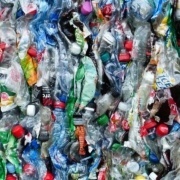 News, What to do with plastic waste? Amsterdam, 3 January 2018 – How has the international plastics industry reacted to the resolution embraced by the world’s countries at the United Nations Environment Assembly earlier in December in Kenya? At the assembly, all the world’s environment ministers jointly took a major step towards combatting plastic pollution. Thanks to the resolution, an international treaty specifically geared to preventing plastic pollution is within sight for the first time. The expected treaty aims to dramatically reduce the use of plastic as well as collect and clear up plastic waste. A working group was appointed to look into all the options, including binding reduction targets to be imposed on member states. In response, plastics producers will have to adapt their production. 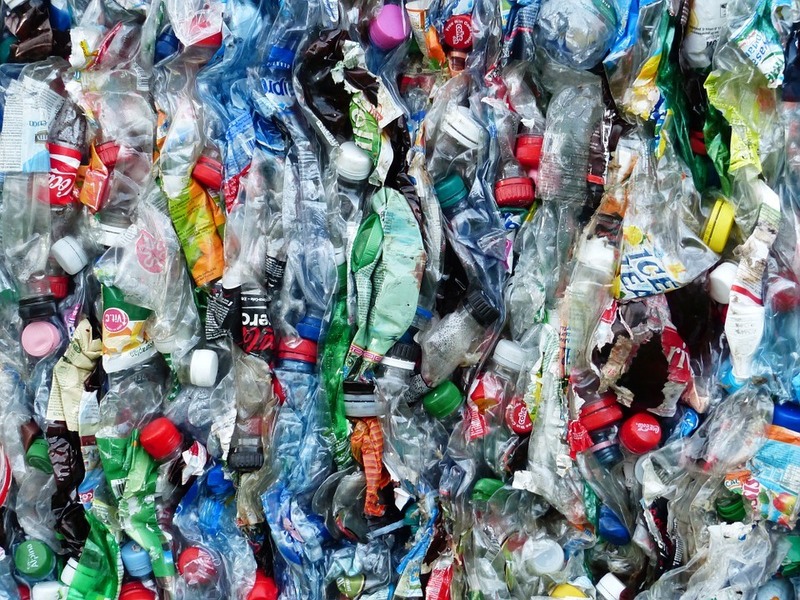 How will the plastics industry deal with this decision? After all in the coming years the sector will invest tens of billions of dollars in bringing even more plastic onto the market. Read more about this huge investment in a recent report by the Center for International Environmental Law. 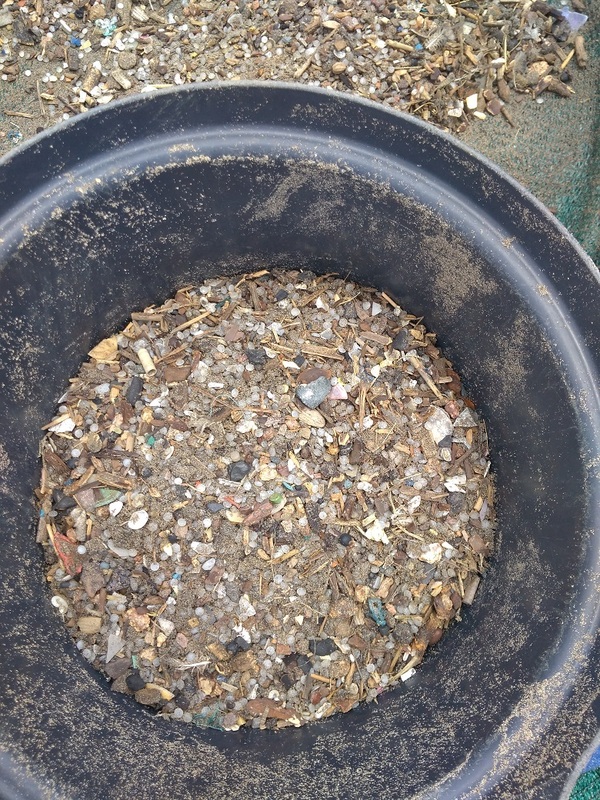 It’s quite simple to work out: the more plastics produced, the greater the chance a proportion of them will end up on the streets and in the sea. 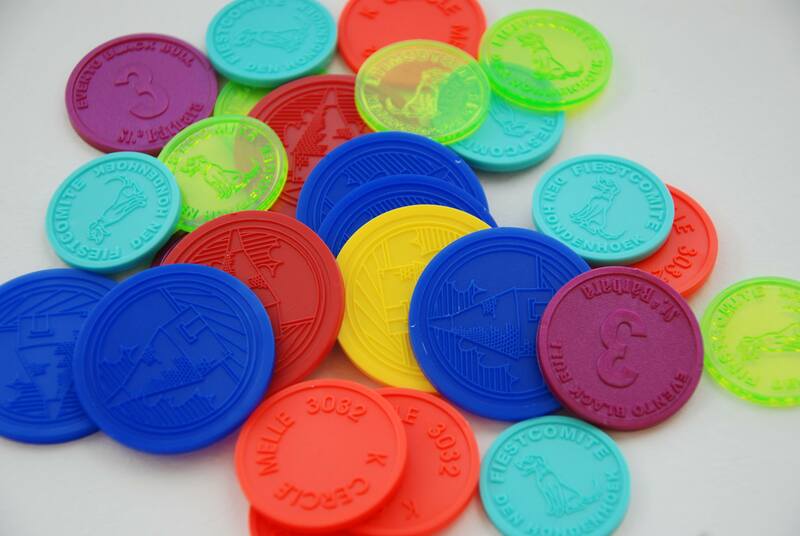 Of course, the plastics producers only have one goal: to earn money by producing plastics. Therefore, as far as they are concerned, the reduction of plastics needs to be prevented at all costs. But it would not be sensible to say that out loud, when the horrors of plastic soup are becoming apparent to everyone. So how should they go about it? The strategy which plastics producers are using is best described as framing. This strategy entails stressing certain aspects while omitting others, without the reader realizing that manipulation is taking place. 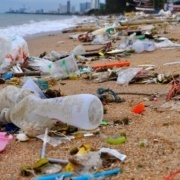 The World Plastics Council which represents all plastics producers worldwide responded instantly to the resolution with a press release, which welcomed the resolution because of the worldwide consensus that ‘better waste management’ is needed to put an end to plastic pollution. The press release refers to a report published in 2015 entitled Stemming the Tide; Land-Based Strategies for a Plastic-Free Ocean. In relative terms, the biggest contribution to plastic soup originates from five Asian countries (China, Indonesia, the Philippines, Vietnam and Thailand). The report which is largely funded by companies with vested interests such as Coca-Cola, Dow Chemical and The American Chemistry Council, advocates better refuse collection in these countries. The word ‘reduction’ is not even mentioned. The framing of the problem does not stop there, since the press release ends by pointing out how good plastics are. After all they are valued across the planet for their benefits and environmental performance compared to other materials. Their implicit message is clear: the world can carry on buying and using plastics with impunity, since these products are good for the environment. According to the industry, all that needs to be done is improve waste management. News, Press releases, Pressreleases, What to do with plastic waste? Nairobi, 5 December 2017 – Without dramatic action, plastic production is expected to grow massively in the coming decades, bringing with it an endless wave of plastic waste and plastic pollution. 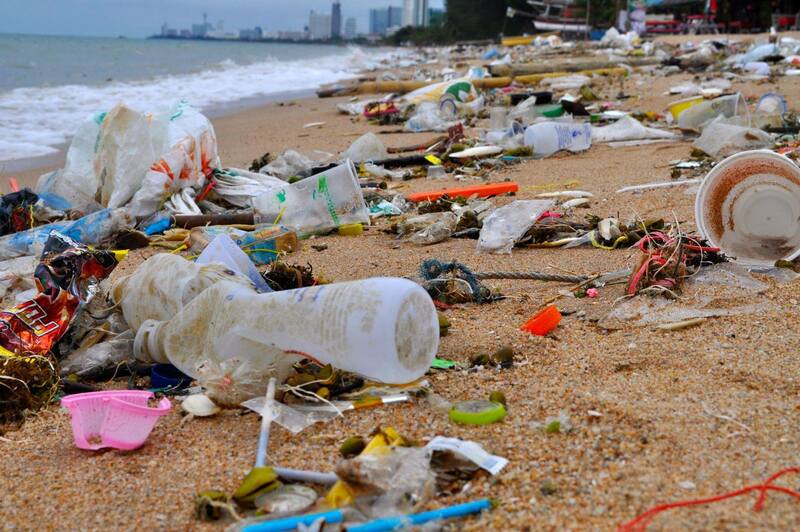 However, there is no international law against plastics flooding into the sea from the land. This month environment ministers from around the world meet in Nairobi, Kenya for the third United Nations Environment Assembly (UNEA). Plastic pollution is recognised as a serious and rapidly growing issue of global concern. 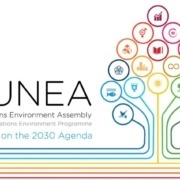 UNEA is the place to decide about the next step the world has to take. A draft resolution, prepared by Norway, calls for the establishment of an Open-Ended Ad Hoc Working Group to make recommendations to strengthen international governance structures for combating marine plastic litter and microplastics that could lead to the proposition of global convention. Several member representatives of the #BreakFreeFromPlastic movement, including the Plastic Soup Foundation, are attending UNEA3 in support of a joint call for an international legally binding agreement on plastics and plastic pollution. Any such convention should include a binding global reduction target, and requirements for loss prevention, collection, and recycling of all plastics. Global quality standards and market restrictions are needed. To ensure governments and industries comply with global targets for reduction a set of strong enforcement mechanisms should be implemented. clear mandate for an Ad HocOpen-Ended Working Group to explore international governance structures to address plastic pollution and marine litter. Brussels, 2 November 2017 – Beach clean-ups show that around half of the litter found comes from single-use plastic packaging. 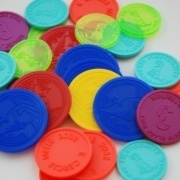 These are plastic items made to be used once only before being thrown away. Single-use items can be divided into two sorts; plastic which you take off your product at home and plastic you remove on your way somewhere. It is the latter that poses the biggest problem, because to-go packaging has a greater chance of being disregarded in the environment and contributing to plastic soup. It is this sort of packaging which is found on beaches and at tourist resorts; either disregarded by day trippers or washed ashore. It includes plastic cups, bottles, bags, cigarette butts, sweet wrappers, straws and bottle tops. 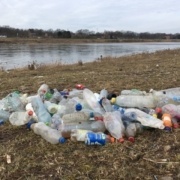 Seas at Risk (which represents a large number of environmental organizations in Brussels) carried out research into to-go disposable plastics. The report draws the conclusion that a large proportion of plastic soup could be prevented relatively easily through a targeted approach. This kind of approach is desperately needed. One of the main conclusions of the research is that reduction agreements need to be made for single-use to-go plastics within the European Union. A reduction can be achieved in the same way as with plastic bags. The European Union has imposed reduction targets on the member states, but it is up to the EU countries themselves which measures they use. This can be done by banning free plastic bags, introducing a general ban on certain types of bags or charging for bags. In the meantime, pollution by plastic bags has been cut back successfully, which shows that reduction targets and regulation can be effective. In the case of plastic bags, this was done via complimentary legislation for the packaging and packaging waste directive. 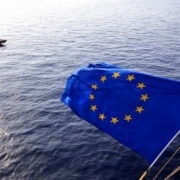 Normally there is free movement of goods within the European Union, although exceptions are possible when there is possible harm to health and the environment. The same judicial basis can be used to impose compulsory reduction targets as exists for other individual items when plastic packaging ends up in the environment. The most effective measure is, therefore, to impose reduction targets on products which are consumed en route. Since the 1980s many soft drink brands have replaced their traditional glass bottles with plastic ones, with it disappeared among others the bottle collection system known as bottle drives. The Entrust Foundation which campaigns for a more sustainable society wants to do something about this and has now launched the Kiwi Bottle Drive campaign. Through this campaign the organization is calling on the government to introduce deposit systems on drinks packaging. Every year in New Zealand 2 billion plastic bottles are sold, out of which 40% at most is recycled. The remaining 60% ends up in garbage tips or on the streets as litter. Giving plastic bottles value by applying deposit bottle systems is an excellent way to boost recycling figures and reduce litter. In this respect, the Entrust Foundation believes New Zealand is lagging behind the rest of the world. In Germany 98% of plastic bottles are recycled thanks to its deposit bottle system and in neighboring country Australia a deposit bottle system is to be introduced as of 2018. Moreover, 91% of the population support such a system as does the 90% of the municipalities. On 24 September elections will take place in New Zealand. The Entrust Foundation hopes a deposit-bottle friendly party will be elected. In the meantime, everyone can send a ‘Message in a Bottle’, which is part of the Kiwi Bottle Drive campaign. You can print labels on their website with the Environment Ministry’s address and send it a package, in this case a plastic bottle, free of charge. 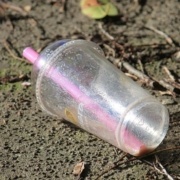 There is room on the label for a brief message telling the government why it should introduce a deposit bottle system.